"Suzie’s training in Reductive Analysis has given her a good understanding of psychodynamic processes and an ability to see beyond the here and now. "Suzie has always conducted herself with professionalism and integrity. Her report writing was succinct and demonstrated a balance of clinical information, background material and practical suggestions that I found useful in planning ongoing client intervention". "Suzie strikes the perfect balance between being professional, yet friendly and approachable at the same time"
"Suzie, thank you so much for your support in all that you do for Lifeline Marlborough. It is greatly appreciated". "In her work in a multi-disciplinary team, working with highly dysfunctional families, Suzie displayed the required patience, tenacity, sense of humour, professionalism and objectivity." "I have appreciated Suzie’s professional approach to psychotherapy, her understanding and competence in the work she does with people and her commitment to her own personal development." 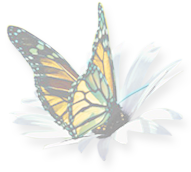 "Suzie is perceptive, empathic and able to identify in a controlled way with clients. She knows a lot about people and their difficulties and about strategies for surmounting or coping with them."